Want to encourage your employees to bond while providing them with an opportunity to learn and further their career? GHA offers a shared learning experience either at your office, or at our range for an authentic archery experience. The activity could be specifically related to your employees’ jobs, or it could be something broader, like a negotiation or leadership skills workshop. Archery is a sport of cause and effect. Your actions while at full draw effect the results on target. Come let your team learn the trials and tribulations of archery and experience the lessons learned behind a successful shot by identifying the actions necessary to hit a future goal. Archery is fun, safe, and easy to get started with. Where/How does target panic begin? So many bowhunters have target panic and don’t even realize it. I read a great write up about Stephen Hansen a few weeks ago, one of the top shooters in the world struggling with it. You can tell the by the tone in his response that it’s not new to him and he’s knows there is a long road ahead. Bottom line is it happens to everyone and you can either choose to live with it until it gets out of control or address it immediately and try to fix it. Some can simply set up at 3 yards , close their eyes, find that slow methodical rhythm and boom all is great on the shooting line again. 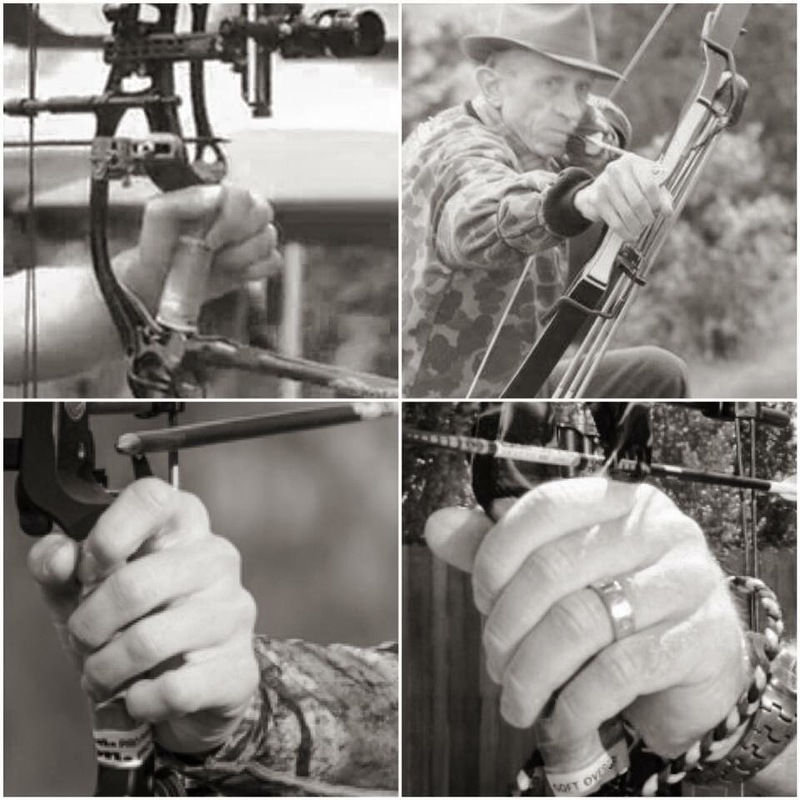 Some shooters need the hinge or resistance release like the Stan Element and must do diligent programming with draw holds and walk back execution and never truly get over it when they go back to thumb button or index finger release. Some signs of target panic are…. When you bought your bow and the bow tech said “you simply put the pin on and squeeze the trigger” and that’s what you’re doing, it’s quite the possibility TP will manifest itself quicker than you want. By nature of being a coach and owning an archery training center I work with a hundreds of new shooters every year. I see youth beginners and competitors as well as adult bow hunters who can’t seem to become accurate past 20-30 yards. I hear from them a few weeks before a scheduled elk hunt or mule deer trip when they can’t hold 4” groups at 60 yards. There are a few underlying issues around the topic and archery by nature of the industry contributes to the problem. First issue is pursuit of the bow sale. It’s not just the small shop but more so the big box outdoor store. Archery season is the most glorious time to be in nature and when bow technicians are trained to only “get the sale”, we have a problem. If you are not pursuing coaching and lessons for new shooters, you’re not contributing to recruitment and retention of archers or potential bow hunters. With hunting numbers dropping , can we really turn a blind eye? We need to sell the sport first so bow hunting will follow to a new potential shooter. We need to be setting every new shooter up for as much success as possible from the statement “I’m looking for a bow”. If you as a bow technician aren’t comfortable with the idea lessons, pursue at a minimum USA Archery level 2 certification. If you have a range, or have separate staff already coaching that’s great, just make sure your bow techs are pushing lessons for all new and old customers. Ask them how their shooting is going, quiz them on their results, ask them why they think they missed the last deer or made a bad shot. What you’re really doing and creating future business for yourself if you do things right and that’s a great thing! Forget what the old timers say about coaching and “all the you need is pie plate accuracy and woodsman-ship” , those days are no longer acceptable. You need to be as accurate and dedicated as possible so you get a quick and ethical kill. On May 18 & 19th archers from all over PA will be visiting GHA to take their USA Archery Level 1 & 2 certification to teach archery. The certification is the foundation of working with future adult and youth archery athletes. We highly reccomend if you wish to open an archery shop, start coaching, or just want the necessary general knowledge to help your club and work with shooters this is a course you should absolutley take. The certification will introduce the new and expereinced shooter to the sport while reinforcing safety, instruction, implemtation of training tools and much more. Read more about the Level 1 certification here. We will also be hosting a shooting clinic with Coach Larry Wise on June 15 & 16. More inforamtion available on our certifications and clinics page. On a date yet to be determined we are looking at hosting another S3DA Basic Coaching certification as well. Make sure you check out our FB page and follow our events listed there. At a very young age founder and head coach Frank McDonough was part of a program called Junior Olympic Archery Development. Around 8 years old Coach Frank’s Dad drove him to the Reading Archery Club to practice with their team. 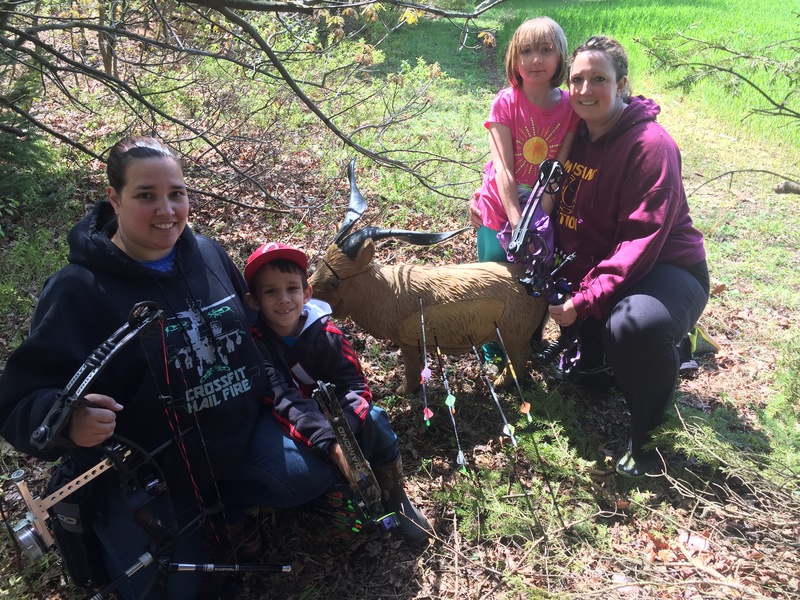 At the time JOAD teams were few and far between and traveling 35 minutes to Reading, PA to be a part of a youth archery team was very much a worth while endevour. Coach Frank traveled as a young competitor to James Madison University, Miami University of Ohio, and Atlantic City to name a few to compete. 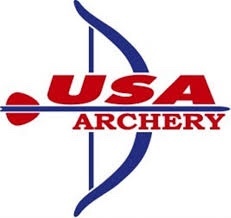 Today JOAD competitors travel all over the country competiting with the eventual goal of possibly winning a spot of the USA Archery Junior Dream Team. Since the first conversation between Coach Sarah and Coach Frank the idea of becoming a JOAD program was discussed. However like everything else good things take time and in August 2017 GHA finally established themselves as a Junior Olympic Archery Development program. Whats cool about JOAD is it recognizes the archers hard work through a scoring and pin system. The pin system is set up to reward scoring achievments of the shooters as they continue to pursue personal archery goals. Part 1 – Broadheads Won’t Fly Eh? Year after year bowhunters are frustrated because they make the switch sometime late summer and they have to move their sights. And technically moving your sight is fine but it still doesn’t fix the reason you’re moving it to begin with. If your bow is tuned and form is on-point, the vast majority shouldn’t have any need to move anything. The age old arguement fixed blade vs mechanical is always a topic of disscussion amongst the droves of bowhunters across the land but mechanical seems to be the primary go to, especially for those who can’t get those pesky (not really) fixed / cut on contact broadheads to fly. Regardless of broadhead, nothing replaces shot execution and accuracy but when we are under stress and anxiety at full draw we want our bows shooting as efficient as possible. Our form irregularities are amplified by an un-tuned bow. Here are a handful of things to consider and look for prior to shooting those broadheads mid to late summer. 1. Are your marks on at 20 yards and 2-3″ (+/-) left or right at 30,40, or whatever you max effective range is? 2. You got some tail whip going on? Back end of he arrow seem to be traveling as it leaves the bow? 3. Markings changing on you? Seem like your chasing the arrow with you sight? 4. Bow seems “ok” but you hear noises coming to full draw? 5. Site picture change when looking through your peep and arrows started crawling higher or lower? If you answered yes to any of these by all means message GHA on FB or email us at grasshollowarchery@gmail.com if you need help. We will teach you the right way to fix these issues or address them as necessary. Shooting form evaluation included in that session. If we can simply help you figure it out on your own we will do that as well. Your local bow shop should be able to fix this as well and in some cases maybe you didn’t buy a bow locally and need help that way. Come to GHA we have worked on them all. GHA brings the target archers narrative of accuracy to the hunter’s agenda. We do not settle for pie plate accuracy, we only settle for pin point accuracy. You just have to be willing to put in the work. First off….HAPPY MOTHERS DAY!As we head into mid May we find few changes heading into 2nd week of May to the leader board!